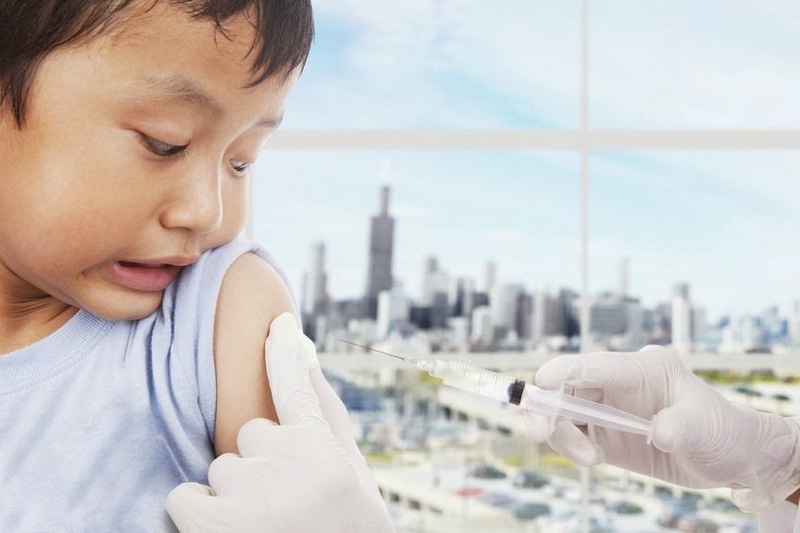 A groundbreaking new drug safety study published in the open access journal PLoS and titled, “Adverse Drug Reactions of Spontaneous Reports in Shanghai Pediatric Population,” has revealed for the first that that 42.5% of all reported adverse drug reactions occurring in 2009 in a Chinese pediatric population (Shanghai, pop of 17 mil) were caused by vaccines, with reactions as severe as anaphylaxis and death. The report carries unique gravitas insofar as the data was gathered through spontaneous reports of physicians (52.03%), pharmacists (24.27%) and other health care practitioners (15.46%), with only 2.52% coming from ‘consumers.’ Presumably, the clinical training of those reporting gives the study additional credibility. A male overrepresentation was observed regarding the total number of reports. The most frequently reported group of drugs were vaccines (42.15%). Skin rash and fever were the commonest symptoms reported in the total pediatric dataset. The proportion of children that suffered from a serious ADR was 2.16% and that for drug related deaths was 0.34%. And we found that the multiple drug exposure experienced a high proportion of serious ADRs compared with the single drug use (χ215.99, P<0.0001). Sixty-five percent of ADRs were for children less than 6 years of age. And more than half of reports were from doctors. According to the study, the World Health Organization defines adverse drug reaction (ADRs) “…as events related to a medication that are noxious, unintended and occur at normal doses used in humans for prophylaxis, diagnosis or therapy of disease, or for modification of physiological function.” Their definition excludes accidental or deliberate excessive dosage or maladministration. The global problem with ADRs is so serious that, according to the study, “ADRs are one of the leading causes of morbidity and mortality in many countries , .” Indeed, a 1998 report published in JAMA found that 106,000 Americans die every year from correctly prescribed medications. 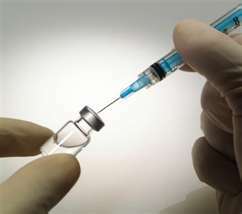 The ADR rate causes by vaccine is much higher than other drugs, and this may be related to the types and number of vaccination being used in China, as the types of routine immunization vaccines in China reach up to 15 kinds, which is much higher than 7 kinds in India and Vietnam, 9 kinds in Thailand and 11 kinds in America, and most of the vaccines in China are attenuated live vaccines, which may bring greater potential safety hazard. The Chinese vaccination schedule, including over a dozen different vaccines, illustrates a common problem surrounding multiple exposures associated with ‘polypharmacy,’ where it is nearly impossible to ascertain the synergistic toxicities and adverse interactions occurring as a result of simultaneous exposures to multiple vaccines or pharmaceutical agents. With the seemingly constant flow of new therapeutic agents and new treatment indications for existing medications, polypharmacy is increasingly common , . Drug-drug interactions (DDI) occur when two or more drugs are taken in combination and one drug influences the effects of another drug. This may subsequently cause a change in the pharmacodynamic or pharmacokinetic parameters which may lead to lack of efficacy, or to an increase in the number of reported adverse drug reactions. The association between multiple drug exposure and the incidence of ADRs has been studied, consistently showing an exponentially increased risk with the increase of the number of drugs taken , . When assessing the severity of the reported ADRs, our study confirmed that multiple drug exposure experienced a high proportion compared with the single drug use. This finding indicate that in order to minimize the risk of serious ADRs, HCPs should pay particular attention to children who are prescribed two drugs or more. The current schedule has never been studied – not one vaccine in a vaccinated vs. unvaccinated design, let alone multiple delivered at once, or the entire long-term effects of 49 doses of 14 vaccines by age 6. We believe this latest Chinese study represents one of the first signs of an awakening within the Chinese research and medical community to the fact that despite being promoted as a medical ‘holy water,’ the very heart of the miracle of modern medicine, vaccines – especially in the very young – are causing severe adverse health effects, many of which outweigh their purported benefits. Moreover, considering that this report (like most adverse vaccine events) only looked at acute adverse health effects, as we learn more about the autoimmunity generating properties of vaccines, and other chronic health issues associated with the presence of ‘hidden’ pathogenic viruses in the live and attenuated vaccines most commonly used in China and the underdeveloped or developing world, we believe this latest study represents the tip of the iceberg as far as the real adverse health effects associated with the increasingly doubtful ‘preventive’ measure of vaccination.